Aloha & Happy Friday! I love the weekends, time to relax & spend time with Chris. This outfit is a little something I wore a couple of days ago. My top was a great find in the New Look sale, just £4.00! I teamed it with some simple leggings & my beautiful Zara Kimono. 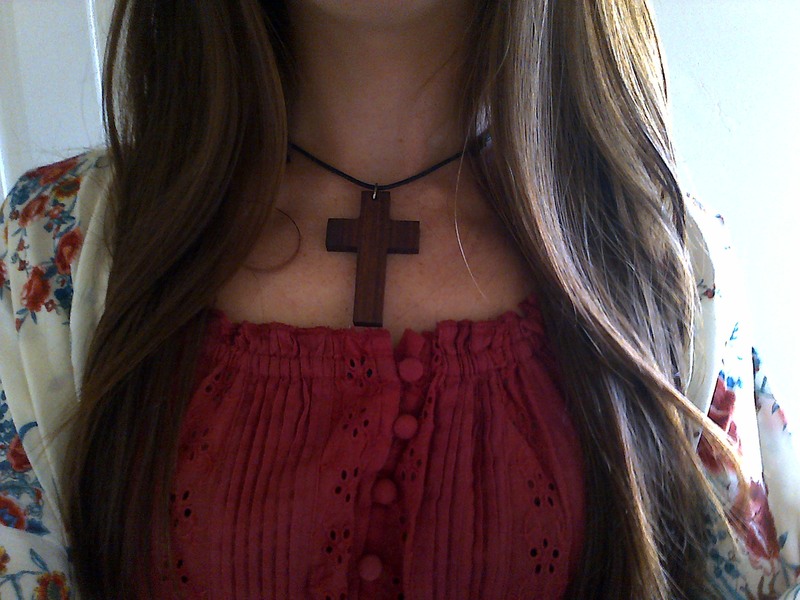 I added a boho vibe with my handmade Cross Necklace. I love easy to wear outfits that still look quite unique & help to show off my favourite kind of styles. I spent the afternoon creating some beautiful pieces for Honu Moku. 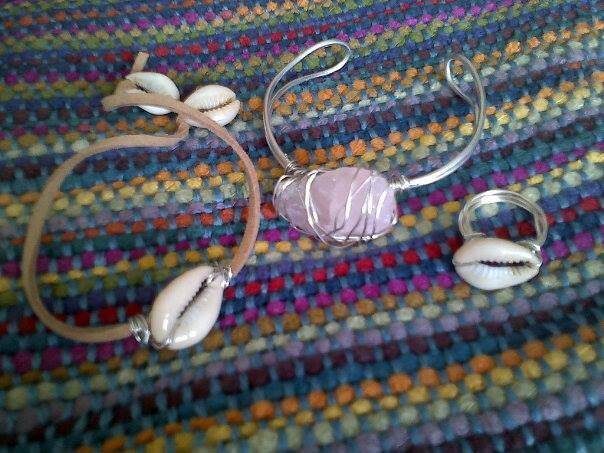 I love working with Cowrie Shells & precious gems. 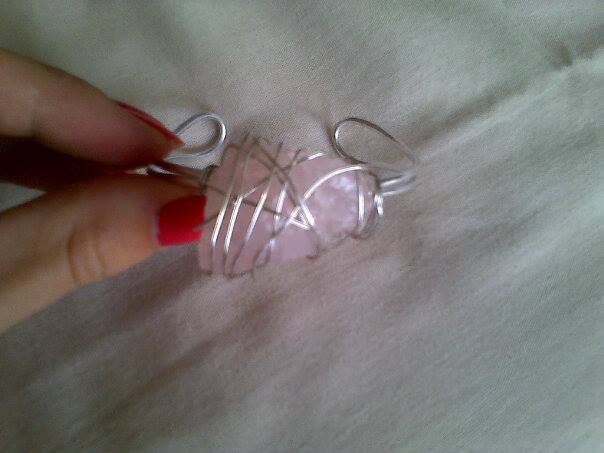 My favourite make of the day is this Rose Quartz Wire Wrapped Cuff. This will be available soon at Honu Moku. I have many more designs coming your way so watch out for those! 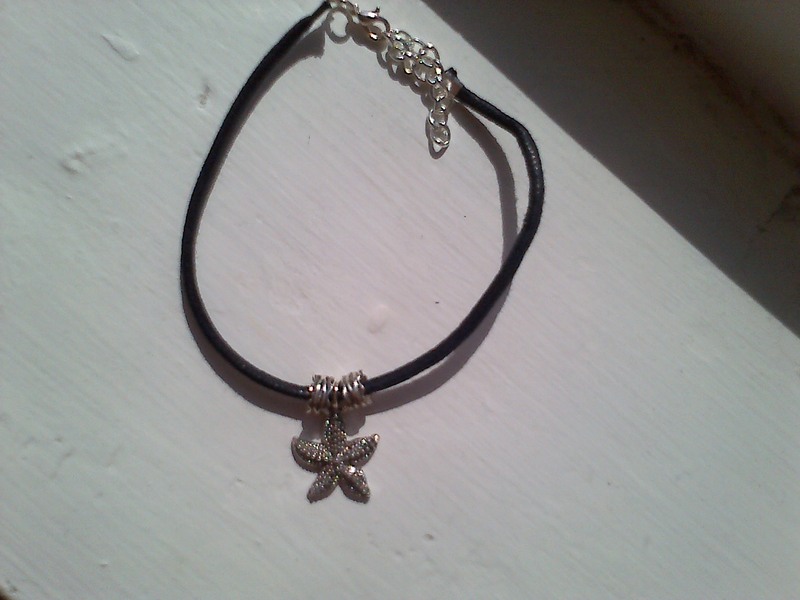 I also have some pretty Starfish Anklets for sale soon. This one has been specially made for a girl at work, I love it! I hope you have all had a lovely week & enjoy your weekend my pretties! Thank you, I love kimono’s sooooo much! Love the kimono look I’m hooked on kimonos as well! The fringe ones are the most rare but stylish ones! Yes Friday does look fine. Would look better if my sites were not down and my hosting unresponsive and my ability to move them temporarily blocked. But all will be well by morning I hope and there is an Ulta shopping trip with my friend and there will be tea and good times. Looking forward to tomorrow. Great outfit, btw! that is such a beautiful kimono! love it!